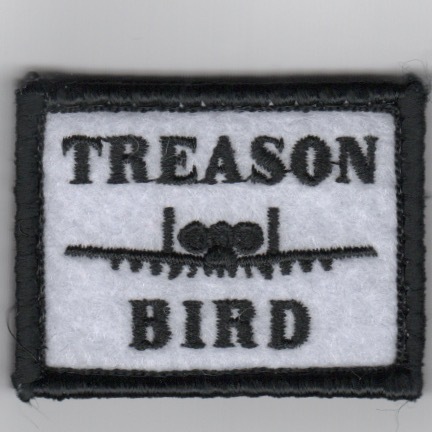 This is the desert version of the famous A-10 Thunderbolt "Hussein Hunter" series of patches created back during the first Desert Storm. This one has been modified to reflect the latest Operation Iraqi Freedom War date of 03-20-03. 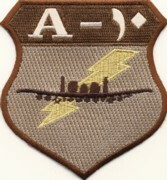 This is a desert version of the A-10 Thunderbolt Patch. However, it's done in arabic. Nice patch. 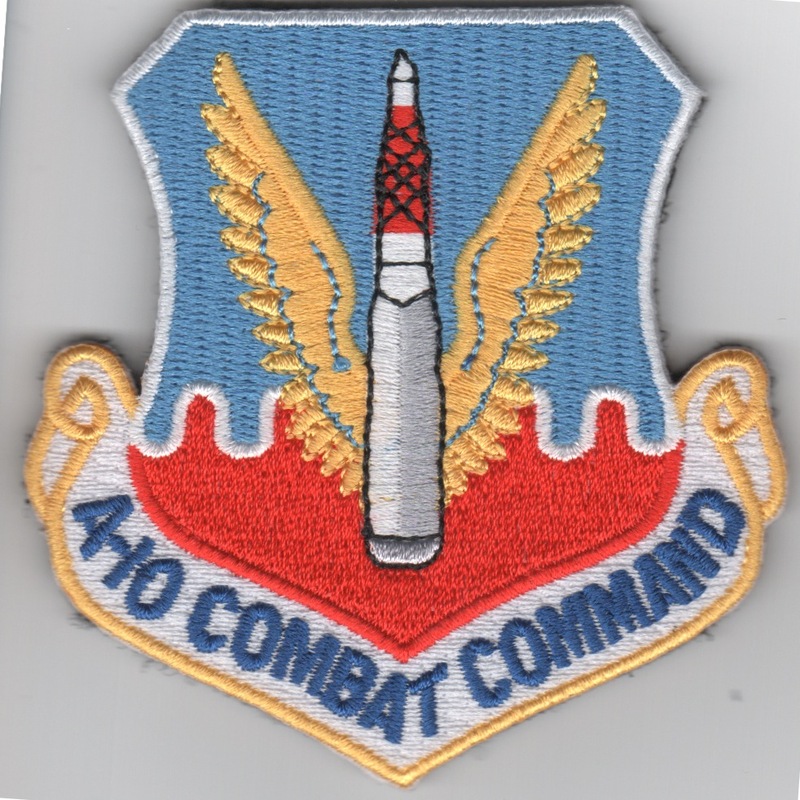 This patch created for the Warthog community is a "spoof" on the standard "Air Combat Command" (ACC) crest by saying "A-10 Combat Command" in the same colors/shape. This patch does come with velcro. This is the shield-shaped A-10 patch created for those who flew 50 missions over Afghanistan worn to depict their experience level. This patch does not come with velcro attached. 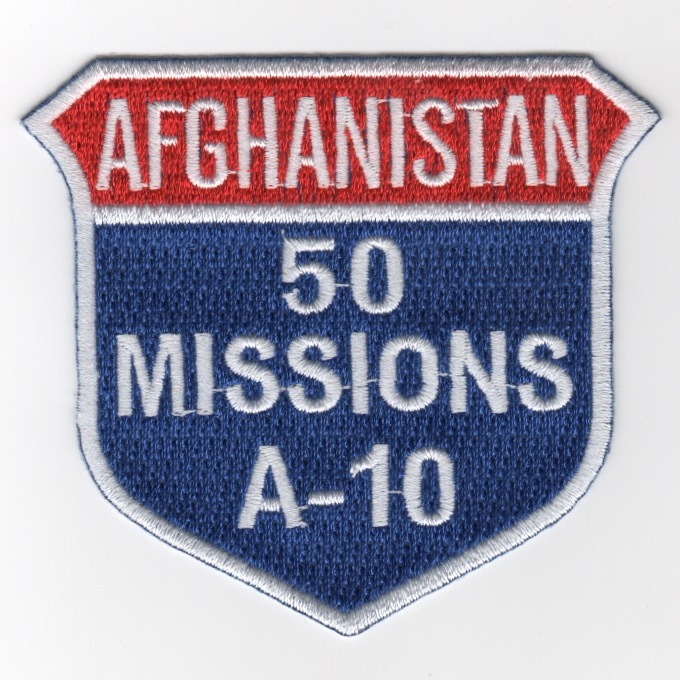 This is the shield-shaped A-10 patch created for those who flew 100 missions over Afghanistan worn to depict their experience level. This is the shield-shaped A-10 patch created for those who flew 50 missions over Iraq worn to depict their experience level. This patch does not come with velcro attached. 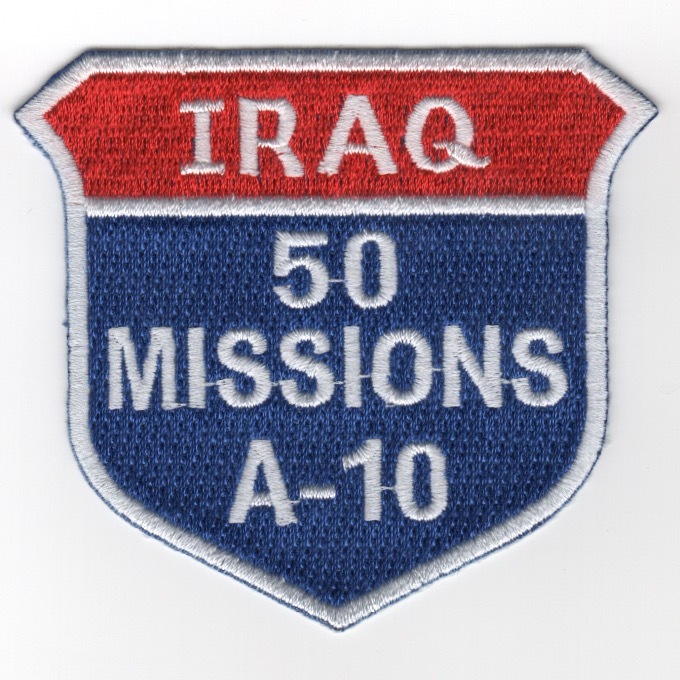 This is the shield-shaped A-10 patch created for those who flew 100 missions over Iraq worn to depict their experience level. This is the Warthog's takeoff from the "other" fighter squadrons "driver" patches. This one states HOG DRIVER. This is the KUNSAN AFB morale patch. 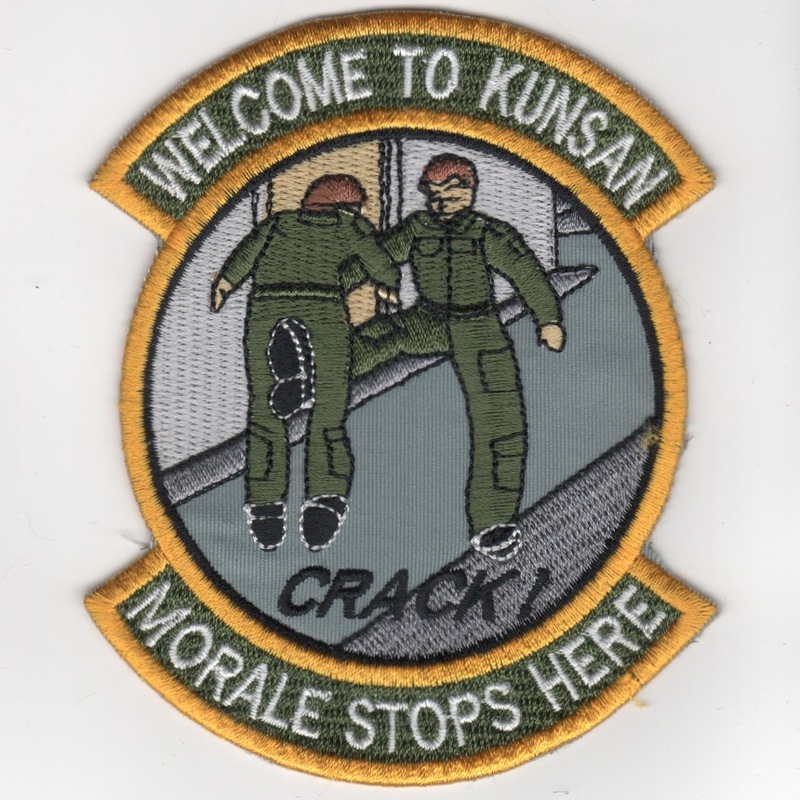 It shows one military member giving an "attitude adjustment" to another and says "WELCOME TO KUNSAN" (top) and "MORALE STOPS HERE" (bottom). This patch does not come with velcro. Homepage | Order A-10 Misc Patches!